This is the age of compact cars when people look for power-packed features and performance in a smaller SUV. Needless to say, there are plenty of great options available today, and the Nissan Sentra is one of them. Practicality is the strong suit of the Sentra, with lots of room, fuel-efficiency, and value for money. The 2017 Sentra is a five-passenger compact sedan available in S, SV, SR, SR Turbo and SL trim levels. Some of the standard features include 16-inch steel wheels, automatic headlights, remote keyless entry, air-conditioning, a height-adjustable driver seat, 60/40-split folding rear seatbacks, a tilt-and-telescoping steering column, cruise control, Bluetooth phone connectivity and a four-speaker sound system with a CD player, a USB port, and an auxiliary audio input jack. The Sentra is equipped with a 1.8-liter four-cylinder engine that gives 130 horsepower and 128 pound-feet of torque. It is standard on the S, SV, SR, and SL trim levels, while a six-speed manual transmission is standard on the S, and a continuously variable automatic transmission (CVT) is standard on all other levels. Standard safety features on the Sentra include antilock brakes, stability control, rearview camera, front-seat side airbags, and side curtain airbags. The SR and SL trim levels can also be equipped with blind-spot monitoring with rear cross-traffic alert and adaptive cruise control with automatic emergency braking. The more basic Sentra also comes with rear drum brakes. The interiors are incredibly spacious, and this is the biggest selling point of the Sentra. There’s ample head- and leg-room, even for taller drivers. The construction may not be fancy, but the materials are sturdy and pure quality. You also get NissanConnect, a system that allows the driver to use smartphone-based apps like Google Search with the help of the available 5.8-inch touchscreen. The touchscreen menu is simple and easy to use, but the small size and low-resolution graphics could be a turn off for some. The trunk is spacious too and can be expanded by folding down one or both rear seatbacks. 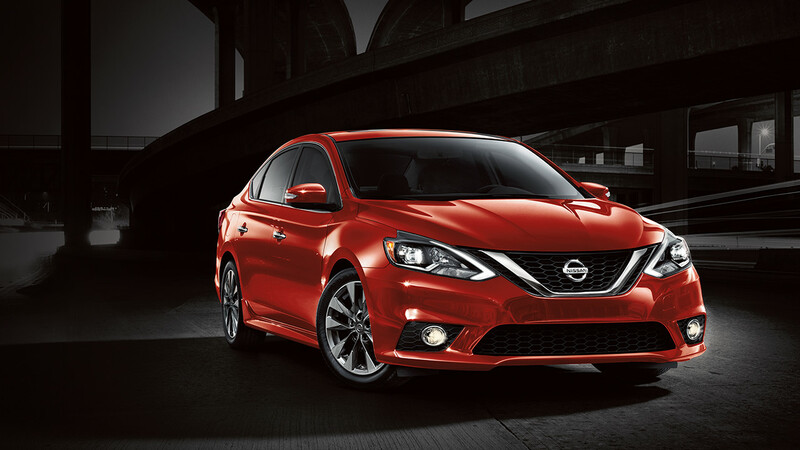 The Sentra drives smooth and comfortably on practically any terrain. If convenience and value are what you prefer and a drab interior is not an issue, the 2017 Nissan Sentra is easily one of the best compact cars on the market today. Let New York Autobrokers serving the Bay Shore and Oakdale, NY area use their 20 years of experience to get you the best lease payments or price on any car make or model of your choice. Call us at 631-446-4455 for more information!